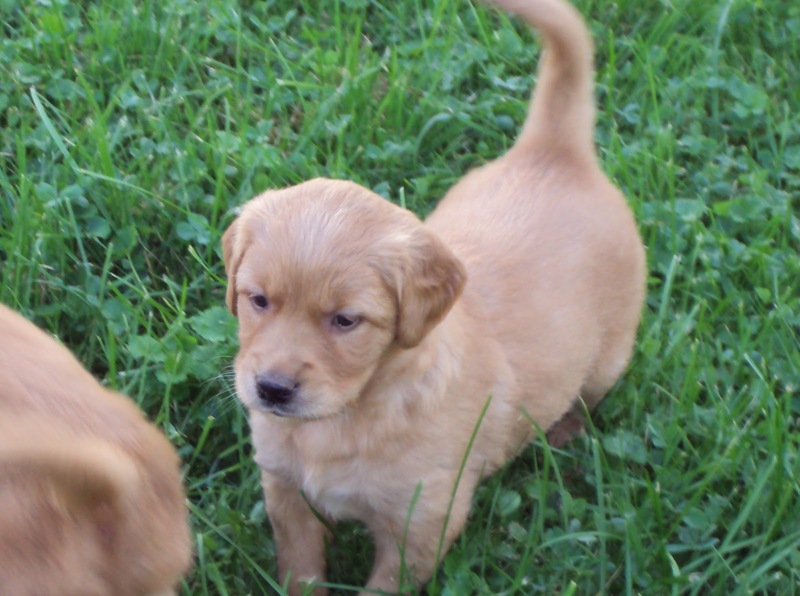 He's gorgeous, vet-checked, AKC, red-toned, curious, smart and adorable. 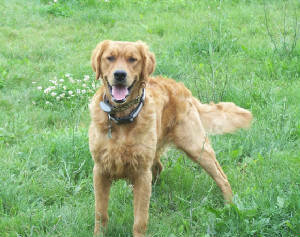 Parents are from long line of healthy, smart, championship Midwestern Golden Retrievers. We call him "Chance" because we love Disney movies. Tori and Casey, my puppy helpers, are cute, too! He's 8 weeks old and ready for a home! And thank you to all of you who waited while I was at my writers' conference in St. Louis! I'm so grateful. Apple Country Veterinary on North Ave. in Hilton. homes in Western New York! YAY!!! We have one male puppy remaining. to go to their new homes now. The "boys" are priced at $500.00, cash only please. This little guy already locks in on things. I love his stance. Adorable baby dog! Sadie did such a good job with these guys. Sweet. Attentive. Gentle. And she's managed to bring in one bird... and a baby rabbit. I thought the cat was bad with the mice on the side porch! 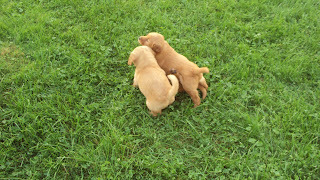 Pups are ready to go to their new homes on 9/16... Perfect timing for fall walks and training. 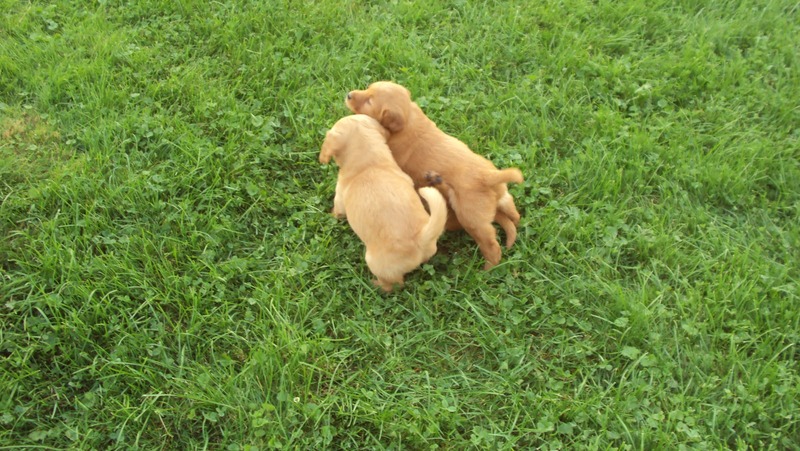 All pups will be vet checked, they are AKC registered and come from a great, healthy heritage. Please call us at 585-392-2763. We'll be glad to set up a time when you can meet them.